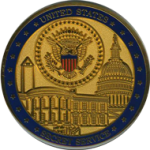 The United States Secret Service has a few very important duties – probably most notably, protecting our nation’s leaders from harm. Theirs is not an easy job, nor is it free from risk. At Noble Medals, we acknowledge that and feel that such a commitment is worthy of a quality challenge coin. 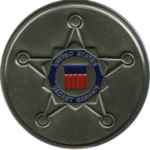 With so many options available, there is no reason that your Secret Service Challenge Coins shouldn’t stand out as a unique expression of your creativity and sense of duty. Let us help make them perfect for you to carry with pride. 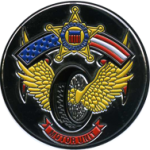 At Noble Medals, we make quality Secret Service challenge coins, and our work speaks for itself. One-of-a-kind coins: These are not coins you can just buy over the counter. Every element of our coins is customizable, from the metal plating to the decorative edging. This gives our Secret Service challenge coins a personal touch that any service member would come to cherish. Great customer service: Ordering a custom made challenge coin is possibly not something you have done often, which is why our team can walk you through the process and even provide you with an accurate quote of what your coins might cost at each stage of design — no surprises in pricing! Our graphic designers also help make your vision a reality. 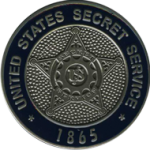 Hard work for brave men and women: We make custom Secret Service coins and want to do our part in thanking the proud men and women who selflessly defend this country. We put true passion into our work so that each coin that goes out our doors is a special one.